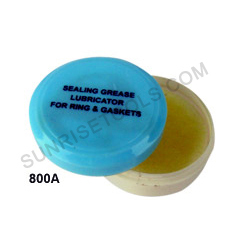 Description :- This lubricating grease is used for mechanical watches. Description :-This silicone grease is used for sealing, lubricating and waterproofing mechanical watches. 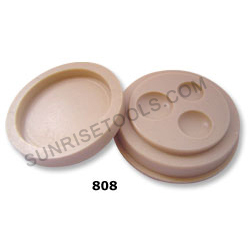 It is an excellent case sealer and stem packing agent made of heat resistant case sealant grease with silicone. Safe to use on all parts of your watch as it will not affect watch oils. Description :-Greasing pads for watch gaskets, loaded with grease you put gasket in between the foam pads to apply enough grease, this helps waterproof your watch and gaskets lasts longer. Description :-This watch oil is used for all kinds of quartz and mechanical watches and great for lubrication of watch wheels, jewels and other parts. This oil doesn't spread when applied. 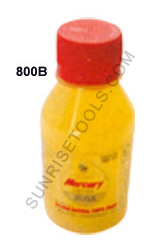 Description :- This superfine oil is used for alarm and wall clocks. It contains 20 ml of oil. Description :-This Benzene cup is great for denatured alcohol for soldering. Made from high quality material for long lasting and durable. 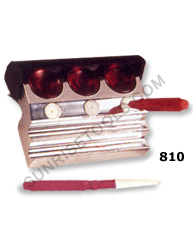 Description :- This has a metal base with a sliding plastic lid to cover the oils. 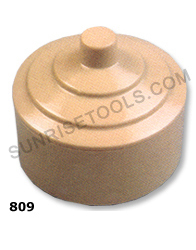 There are two grooves for holding oil pins. 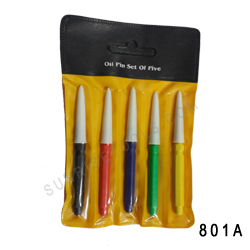 This is a new plastic oil pin. It can be used for applying lubricants. 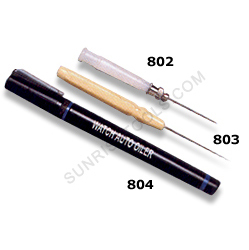 The tip is sharp allowing for better application of the liquid.